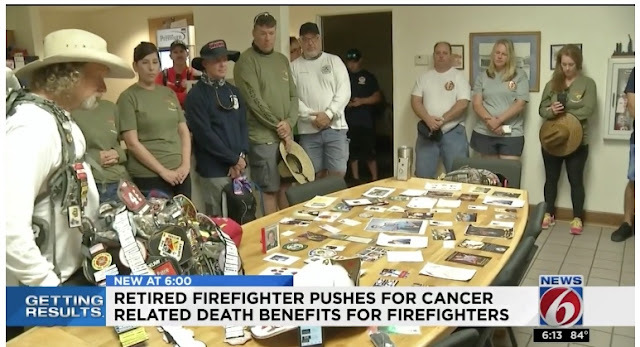 MELBOURNE, Fla. - A retired Orange County firefighter is carrying the burden of his fallen brothers while walking hundreds of miles across the state to raise awareness for cancer-related death benefits. Tom "Bull" Hill started his 700-mile journey in the Keys March 20. The 58-year-old has walked up the state and made his way to Melbourne Fire Station 74 Friday night. On Saturday, he continued his journey up the Space Coast. "It's an honor to carry these guys. That's the truth," Hill said. Hill called it an honor and a burden as he stood over a table covered with photos of fallen firefighters and members of law enforcement. On the table were three large backpacks filled with more than 500 badges, shields and names of first responders who passed away. 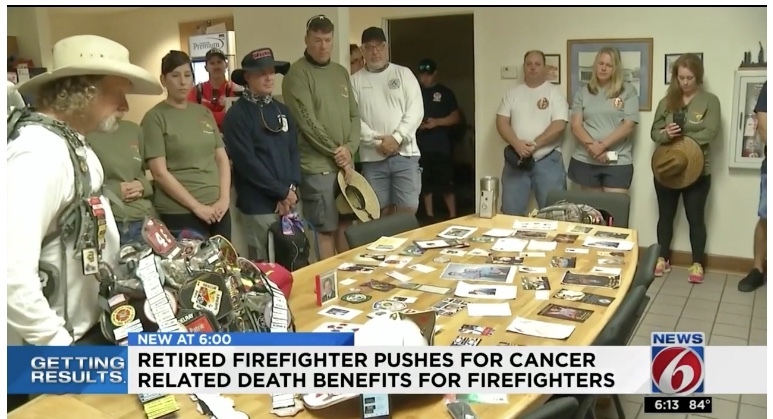 The retired Orange County firefighter said he's keeping a promise and walking in memory of two fellow brothers who died from work-related cancer.